The lawn of Fuller Lodge will be filled with the eerie, flickering glow of hundreds of carved pumpkins lit for the annual Pumpkin Glow, 6:00pm to 9:00pm, October 26, 2019. In past years, thousands of people have gazed in wide wonder at glowing visions of scary creatures, funny faces, cute animals, and fancy flowers. We encourage people of all ages and artistic talent to participate. 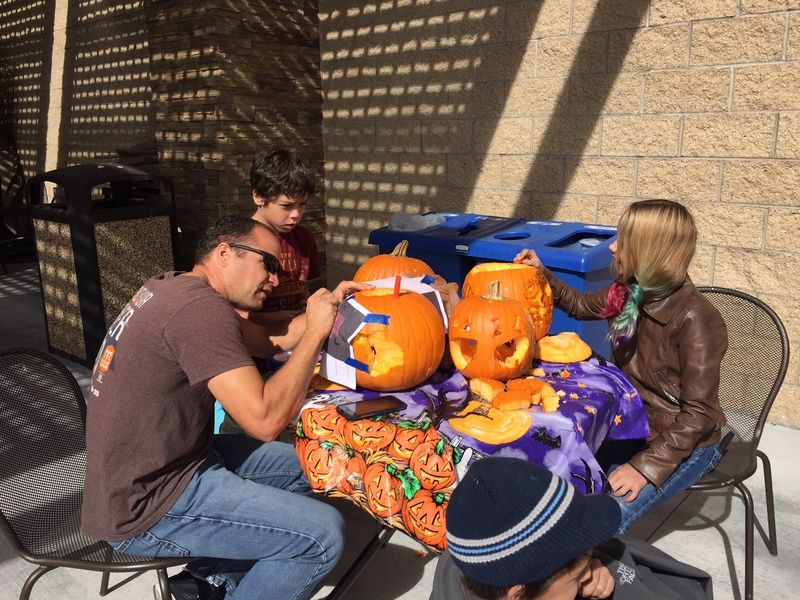 Everyone can carve a pumpkin! The annual Pumpkin Glow is generally held the Saturday before Halloween in conjunction with other Trick-or-Treat on Main Street events. 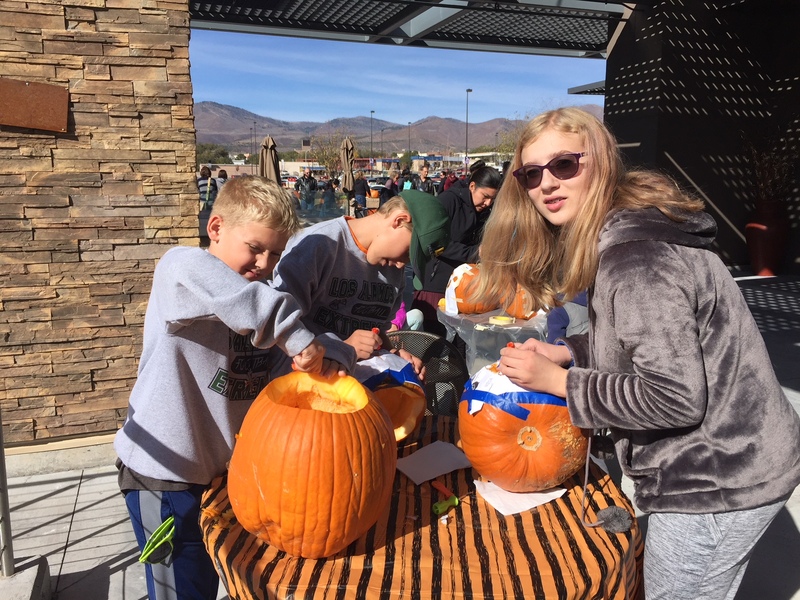 There will be a carving party at Smith’s Marketplace in the morning (10:00am, Saturday, Oct 26, 2019) then, pumpkins can move to the lawn of Fuller Lodge for the Pumpkin Glow in the evening. Pumpkin Glow will be held Saturday, October 26, 2019, in collaboration with Trick or Treat on Main Street which will be held on October 25. Pumpkin artists drop off their jack-o-lanterns in the afternoon and return after dark to view the hundreds of glowing gourds. 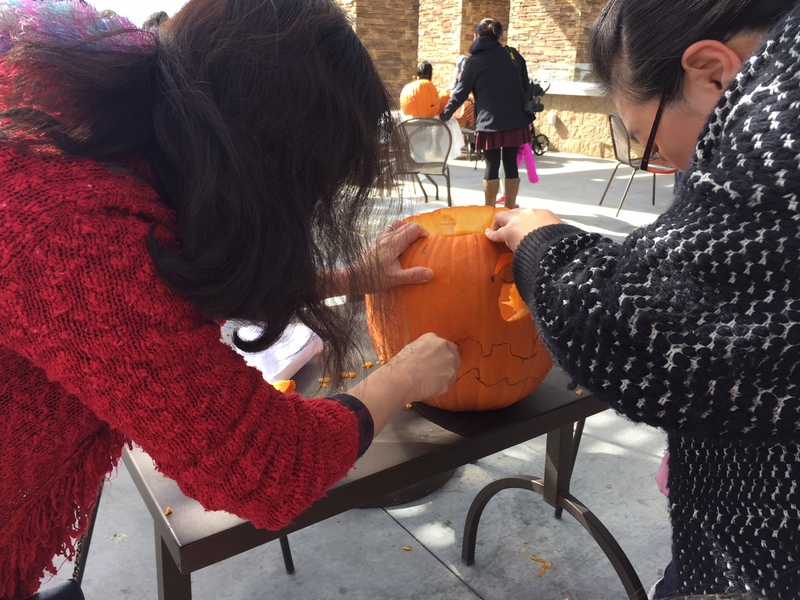 Participants can pick up their pumpkins after the event (or choose from the unclaimed works of art). 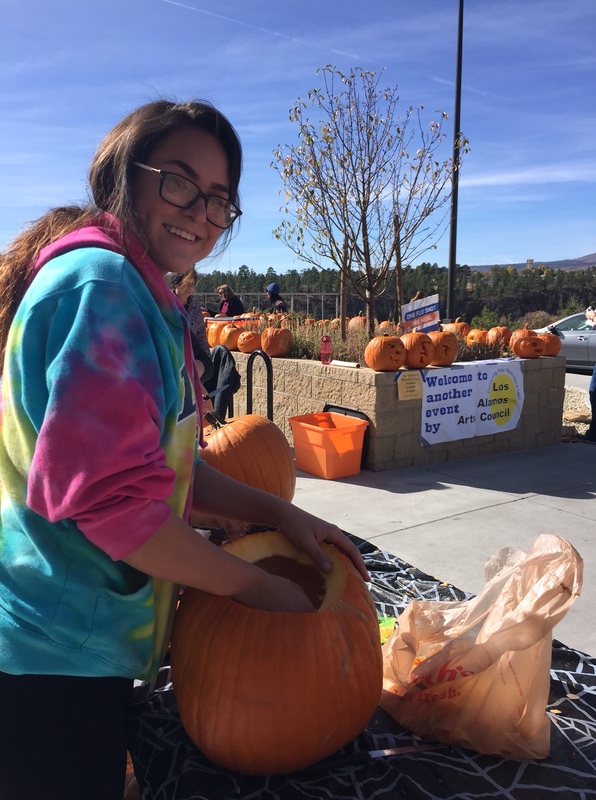 The Pumpkin Glow will be held from 6 p.m. to 9 p.m.
As part of the “Halloweekend” the student Masquerade Recital will be held Saturday, October 26 at 4:00 p.m. just before the Pumpkin Glow in Fuller Lodge. Costumed music students will play some eerie selections.